Country's largest thermal power producer NTPC reported nearly 17 per cent drop in net profit at Rs 2,071.63 crore for the second quarter ended 30 September, 2014-15, pulled down by changes in tariff regulations. It had posted net profit of Rs 2,492.90 crore in the July -September quarter of 2013-14, NTPC said in a filing to the stock exchanges. The decline in profit after tax is mainly on account of changes in Tariff Regulations, 2014, the company said in an official statement. In July, electricity regulator Central Electricity Regulatory Commission (CERC) rejected NTPC's petition seeking changes in the tariff norms from 2014-19. 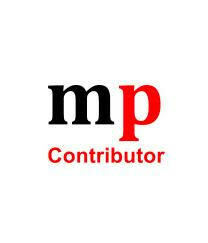 NTPC had said that its generation incentives should be linked to the actual power produced instead of the supply. The CERC, in its order dated 30 June, said the risks associated with the business of electricity generation had been taken care of in the 2014 tariff regulations. The state-run firm's total income from operations increased to Rs 16,736.63 crore from Rs 16,448.90 crore in the same period last fiscal. Fuel cost on year-on-year basis went up to Rs 11,439.33 crore from Rs 10,139.25 crore whereas the company's other income fell to Rs 530.69 crore as against Rs 627.19 crore, in the corresponding period. In September, NTPC signed an initial agreement with Andhra Pradesh state government to develop 1,000 MW solar power projects at suitable sites in a phased manner. The projects will be implemented on Build-Own-Operate basis in the state. For the second quarter of FY 2014-15, gross generation was 55.421 Billion Units (BUs) as against 54.519 BUs in corresponding quarter of previous year. During the first six months of the current fiscal (April-September), the company's gross power generation grew to 118.554 BUs from 111.524 BUs for the corresponding period in previous year. Shares of NTPC, on Friday, ended at Rs. 149.95 apiece on the BSE, up 1.90 per cent from the previous close.